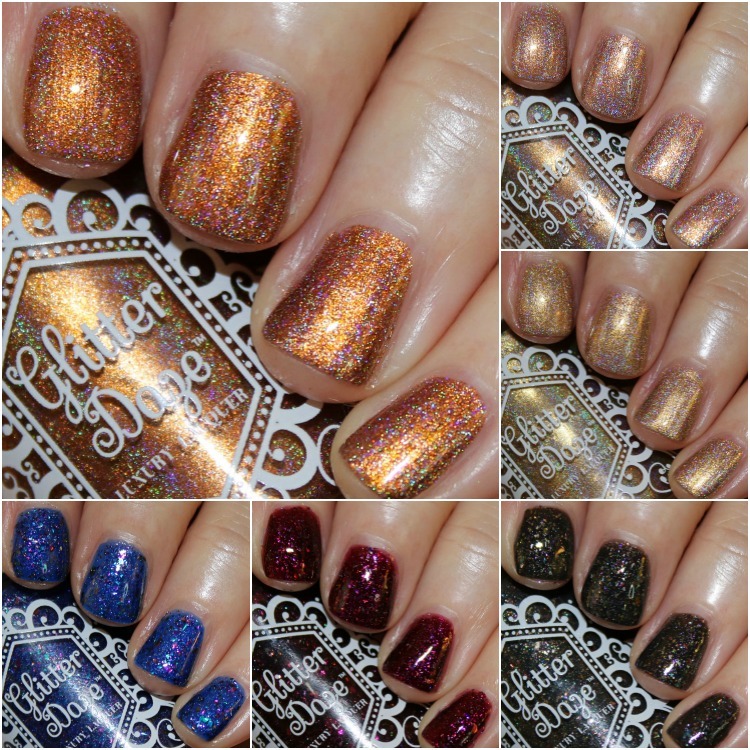 The GlitterDaze Holiday 2015 collection came out a few months ago (so sorry I am really late on this), BUT these are definitely not just holiday shades, so I don’t feel quite as bad about posting so late. In fact, three of these shades are considered “winter shades” and despite it being sunny-ish and mild today here in the Bay Area, we are still technically in winter for another 2 months. This collection is kind of split down the middle. Three of the shades are metal-colored holos. The other three are flake glitter shades. All were just two coats! 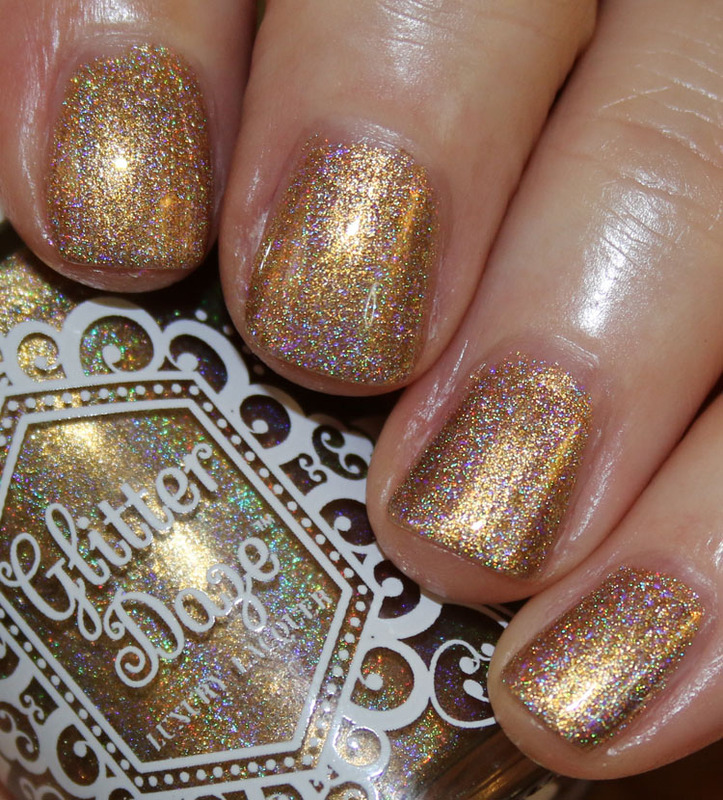 All That Glitters is a cool-toned C3PO gold metallic holo. 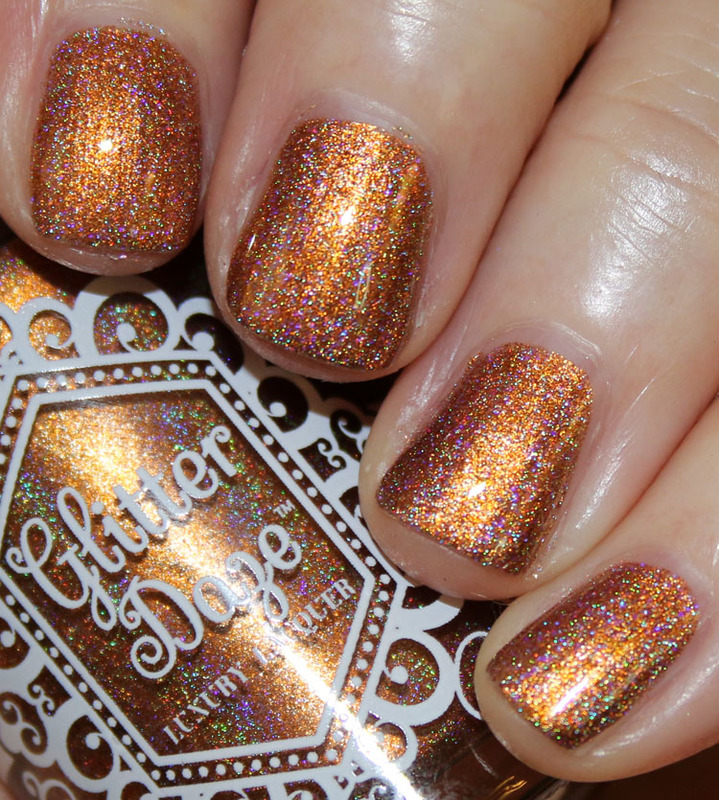 A Pretty Penny is a copper-colored metallic holo. Rosé On Ice is a light rose gold metallic holo. 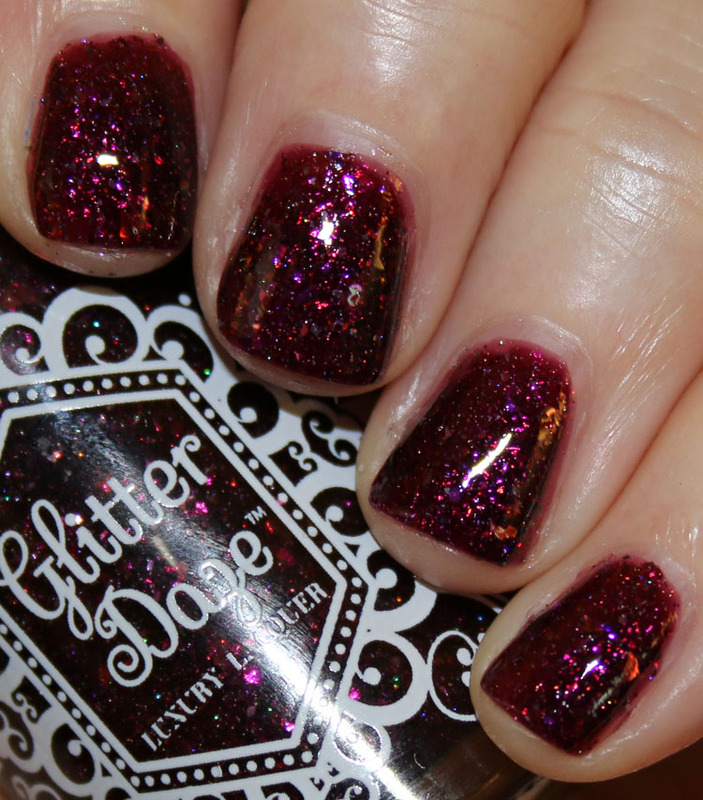 Fiery Embers is a dark maroon jelly with silver and iridescent flake glitter. 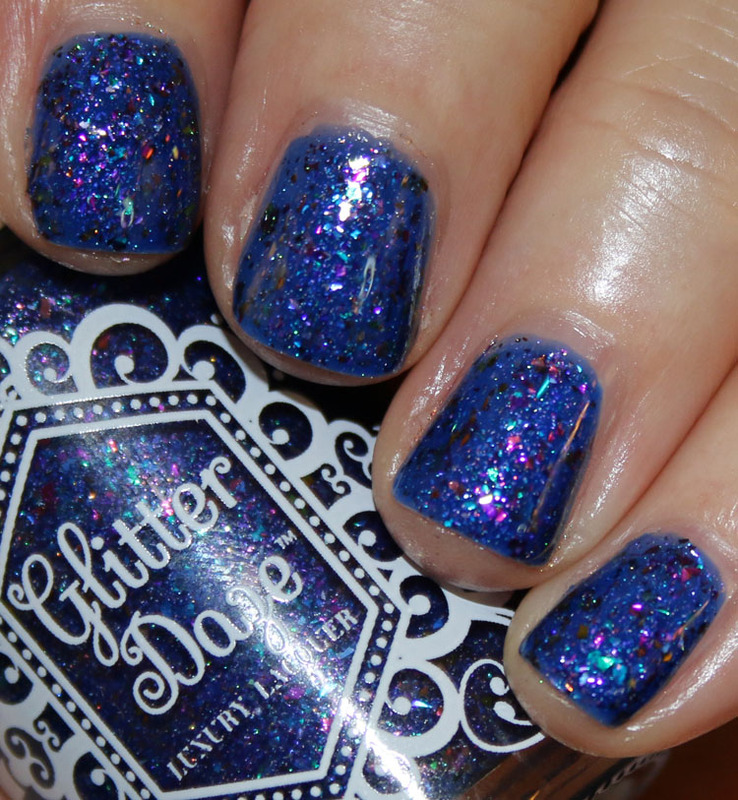 Cold Nights is a cobalt blue jelly with holographic shimmer, flake glitter and silver and iridescent glitter! 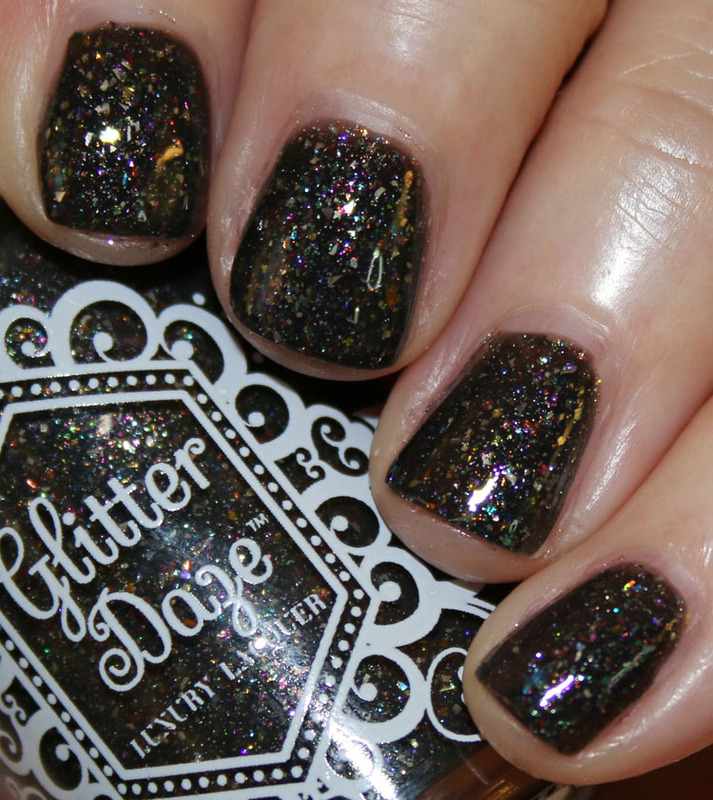 Twinkling Lights is a dark charcoal grey jelly with silver, holo and color-shifting flake glitter. Where to begin?! These are all so pretty, I truly love each of them. The metallic holos are amazing. 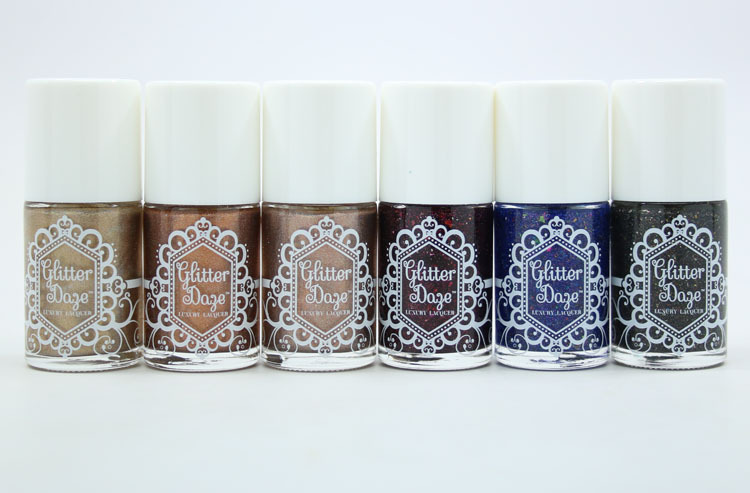 The coverage is so smooth and perfect with zero streaks, and the holo effect is very strong. I especially love A Pretty Penny. The glittery flake ones are simply mesmerizing to look at also because they have so much going on inside them! I love Cold Nights because it’s a bright cobalt blue, but also Fiery Embers is glow-y and beautiful, and Twinkling Lights is chock-full of amazingness. You can find these on the GlitterDaze site and they are $12.00 each or $32.00 for a set of three (two sets available). Rose on ice is such a gorgeous shade! 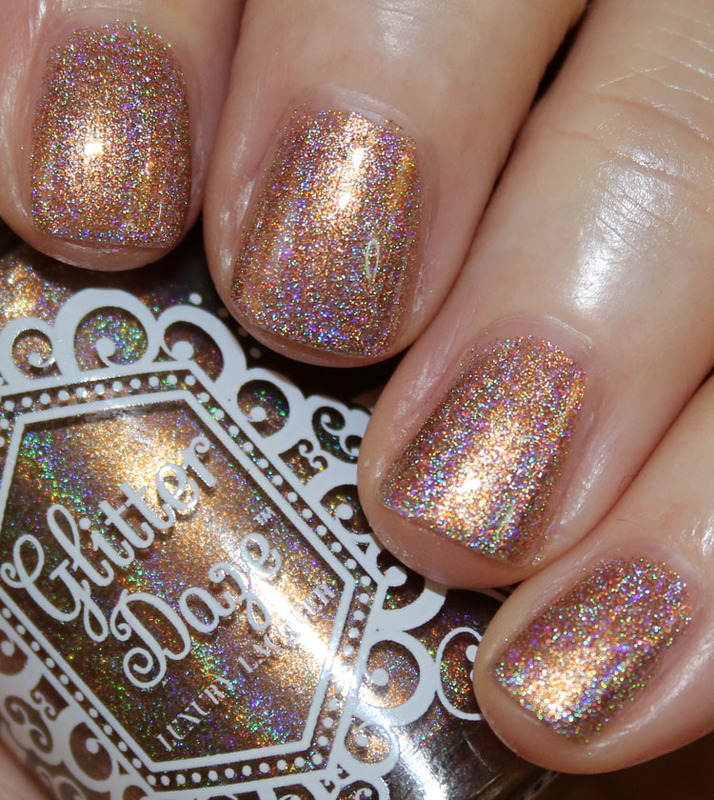 I don’t have many glitter nail polishes but this one is absolutely beautiful, I need to start getting more glittery nail polishes. Roses on ice and Pretty Penny are beautiful!!! I love these! I haven’t purchased these yet because I’m trying to do a no buy (hahahaha!) but i definitely love these colors! Those are great and Firery Embers is my hands down favorite. first 2 are very pretty! OMG I ordered the metal holo set along with 3 other polishes on their website after reading this review. Those metal holo are fantastic and your photos of them are completely amazing. I am so glad you reviewed these polishes or I would never have known about them. Thanks!